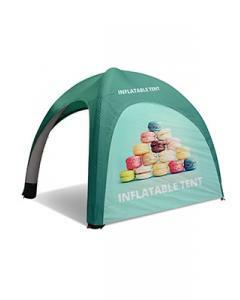 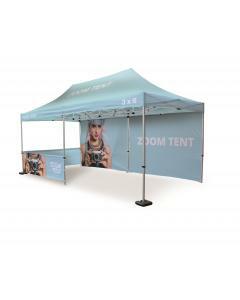 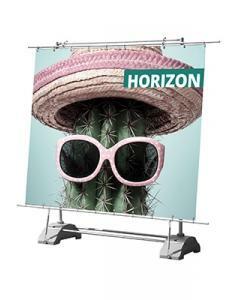 This unique tension banner is the ultimate outdoor banner stand giving your brand maximum exposure and a large graphic area. 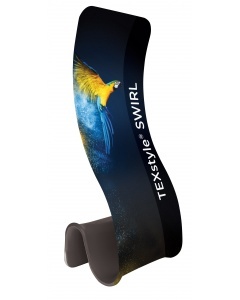 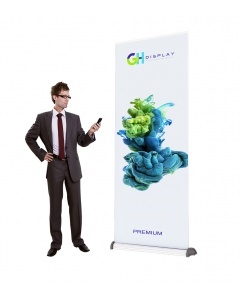 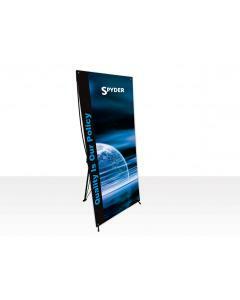 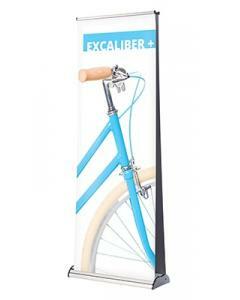 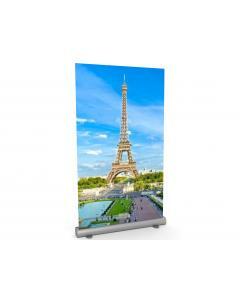 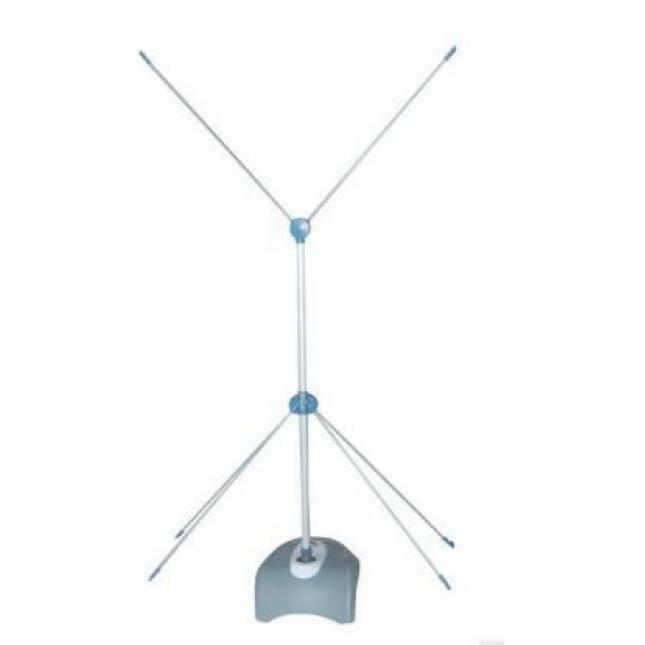 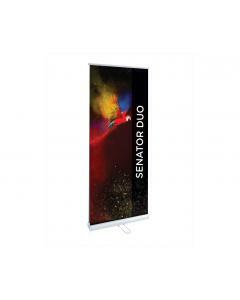 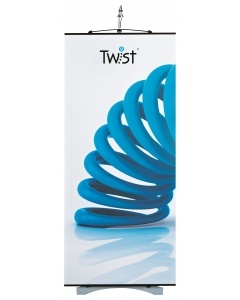 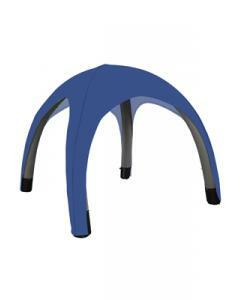 This is our most popular double sided banner stand and can be used both indoor and outdoor. 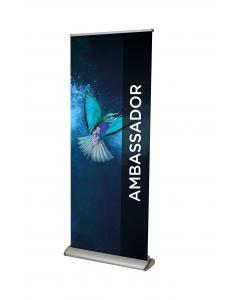 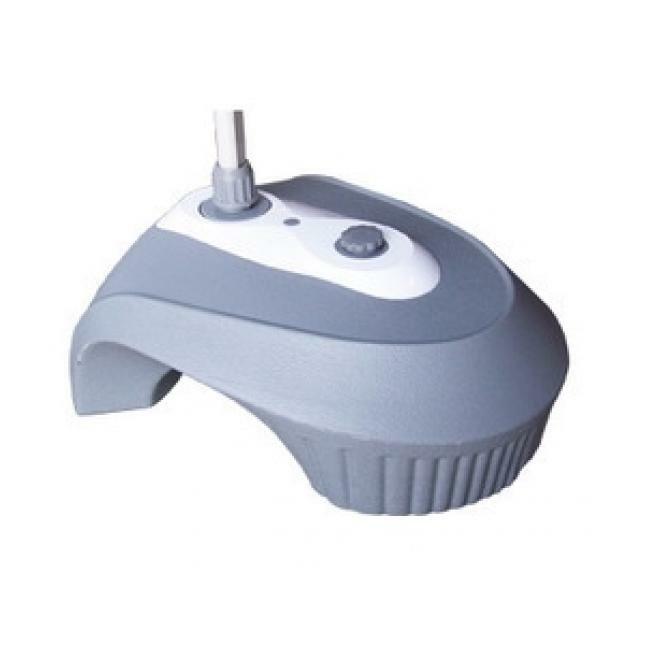 Its double sided graphic ensures your marketing message is seen and the high quality print is durable and long lasting. 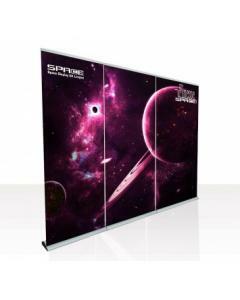 Each side of this impressive display has a 800mm (w) x 2000mm (h) visual graphic area custom printed with your choice of artwork. 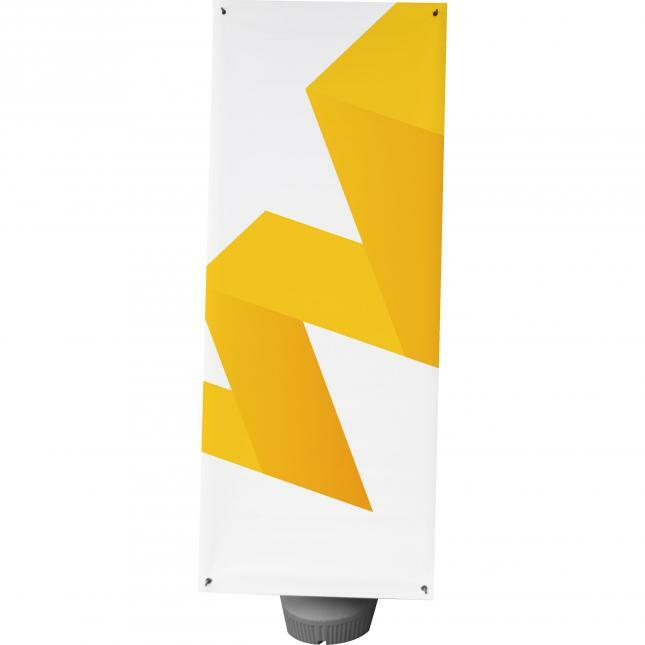 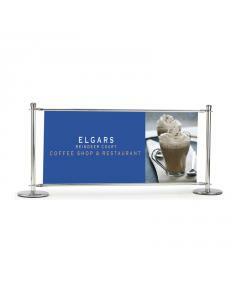 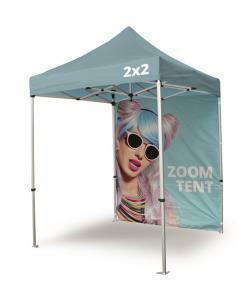 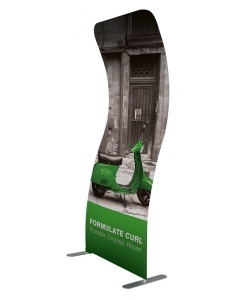 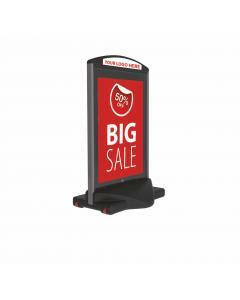 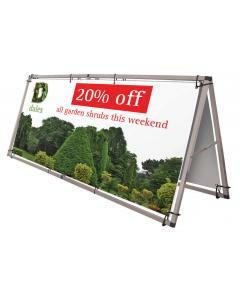 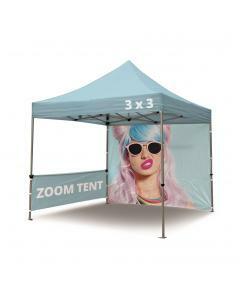 This double sided banner stand is secured down with its moulded water base and can withstand winds of up to 30 kph. 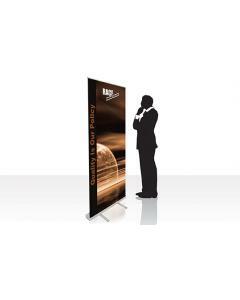 As standard this display takes two custom printed PVC graphic banners finished with eyelets in each of the four corners. 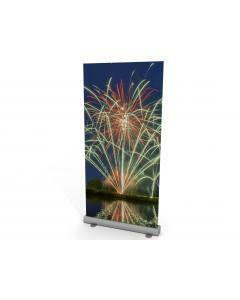 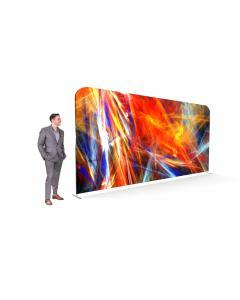 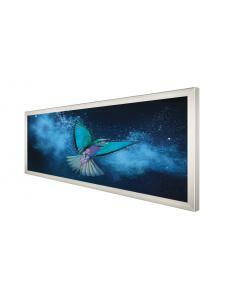 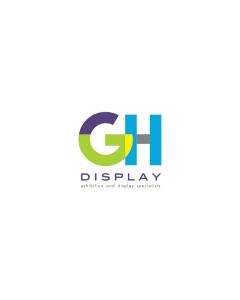 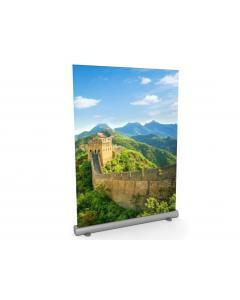 This double sided display can take various media types. 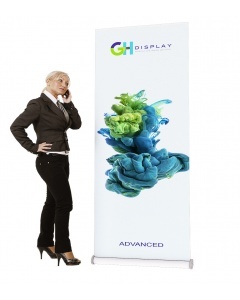 Contact us to obtain a quote for an alternative to the PVC banner included as standard. 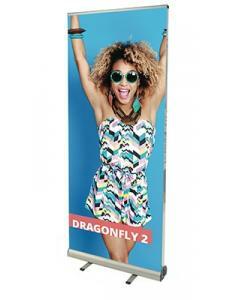 Why choose the Outdoor Double Sided X Banner? 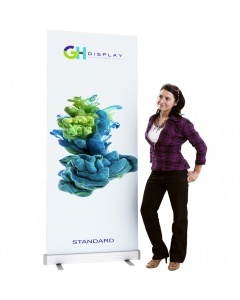 Graphic Design Service: Need help with your artwork? 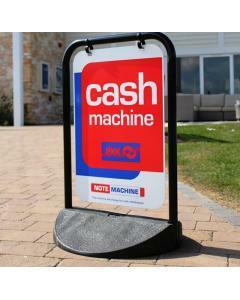 Call us on 01733 570222 to obtain a quote or complete our quotation request form. 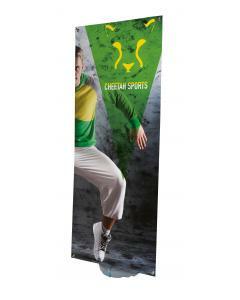 Graphic: Custom printed PVC banner finished with eyelets in each of the four corners. 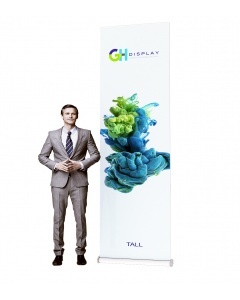 Warranty: Comes with a one year manufacturers guarantee (hardware only).